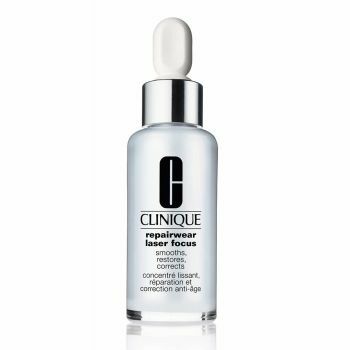 Repairwear Laser Focus Smooths, Restores, Refines. This award winning serum has been upgraded with additional ingredients clarisage and glucosamine for skin resurfacing. Helps forgive the appearance of the past and supports your skin's future. Three drops, twice a day for a vibrant look, a second chance. Allergy Tested. 100% Fragrance Free.